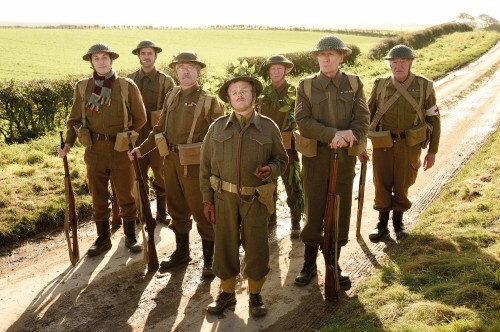 It wasn’t that long ago that we heard about the remake of Dad’s Army. Then, all we knew is that the film was starting to be shot, in Yorkshire, and who was the main cast members. Universal has just sent over the first two images from the film. One showing us the whole of the Walmington-on-Sea Home Guard. The other shows the lovely Catherine Zeta Jones. Just click on the image to see a bigger version.